Useful information for contractors, consultants and engineers, civil rights programs, bid opportunities, transportation programs and planning, dealer information, motor carrier services, state fleet services, and information for employees and partners of NDDOT. Asphalt paver followed by rollers on US Highway 2 east of Devils Lake. Contractor jack hammering concrete on I94 between Glen Ullin and Hebron. Access to the Department's program to identify and implement innovative ideas in transportation projects, processes and products. The NDDOT has several Grant and Funding Programs where we make funds available to the Local Public Agencies (LPAs). Most of these programs have been around for quite some time and are intended to make funds available to the locals to help enhance their communities and way of life. Below is a brief description of these programs. ND Small Town Revitalization Endeavor for Enhancing Transportation (NDSTREET) Program - This program makes available $3 million dollars each year to cities under 5,000 in population to apply for and to make improvements on a State Highway within their community. The work has to be on the State Highway, no side streets or other local roads qualify. This is a Federal Aid Grant so these projects must be on the State Highway and the work must qualify for Federal Funding. NDDOT does an annual solicitation for qualifying projects. Transportation Alternatives (TA) Program - This program makes available about $1.6 Million dollars available each year for TA (Pedestrian/Bicycle) type of projects. This is a Federally Mandated program and these funds can only be spent on TAP eligible projects. About 60% of these funds are intended for communities above 5,000 in population and 40% for communities below 5,000 in population, including counties. This is a Federal Aid Grant so these projects must qualify for Federal Funding. NDDOT does an annual solicitation for qualifying projects. Small Rural Economic Development (SRED) Program - This program makes available about $640,000 each year to provide assistance in upgrading the existing roadway and pavement infrastructure to new businesses. The program will allocate funding on an annual basis to counties to provide opportunities to improve roadways to new businesses. This is a Federal Aid Grant so these projects must be on a County Federal Aid route and the work must qualify for Federal Funding. Counties interested in this grant should contact NDDOT's Local Government Division. Urban Grant Program - This program makes available about $4.6 Million Dollars each year to cities over 5,000 in population to apply for and make improvements on city Urban Roadways (Federal Aid) including State Highways. The improvements are intended to improve pedestrian, bicycle, and other multimodal facilities to enhance the downtown areas within these communities. This is a Federal Aid Grant so these projects must be on a Federal Aid route and the work must qualify for Federal Funding. NDDOT does an annual solicitation for qualifying projects. Transit Grants - This program makes available about $8 Million Dollars each year to the Urban and Rural Transit Providers in the State. Portions of this Grant can be used for operating expenses and a portion is intended for Capital Improvements such as the purchase of new transit busses. This is a Federal Aid Grant so these projects must qualify for Federal Funding. Transit agencies need to apply for these funds on an annual basis. Federal Lands Access Program (FLAP) - FLAP provides funding to improve roadways that access federal lands within ND. The ownership of the roadway can be federal, state, or LPA. This program is administered by Federal Highway Administration, Central Federal Lands Highway Division – (CFLHD) with participation by NDDOT – Local Government Division. Special Road Fund (SRF) - This program provides funding to make improvements on roadways that provide access to and/or within recreation, tourist and historical areas. These are State Funds which come from the interest earned from monies deposited in interest bearing accounts at the Bank of ND so the amount varies year to year. Funding is available for construction only at a maximum amount of $300,000 per project. NDDOT solicits for projects when there is adequate funding available. State Planning & Research (SPR), Local Transportation Planning - This program provides $450,000 in Federal Funding to communities to assist in their Transportation Planning efforts. These funds help fund with creating or updating a Long Range Transportation Plan (LRTP) and Corridor Studies. This is a Federal Aid Grant so all planning efforts must qualify for Federal Funding. Local Public Agencies (LPAs) interested should contact NDDOT's Local Government Division. Highway Safety Improvement Program (HSIP) Grants - This program makes about $6 Million Federal funding available for Counties and Cities to address Highway Traffic Safety issues. This is a Federal Grant so all improvements must meet the Federal Aid Requirements. NDDOT will solicit the Counties, Cities, and Tribal Governments annually for safety projects. Regular Highway Program - Each year, NDDOT works with the LPAs, MPOs, and Tribal Governments to put forth a 4-year list of projects around the state that will utilize federal funds. The list of projects is published in the Statewide Transportation Improvement Program (STIP). This document is available on NDDOT's website for public review and comment. This document only contains federally funded projects for funds that NDDOT is responsible. LPAs, Tribal Governments, or private entities may do transportation related projects with their own funds or other federal funds provided to them directly and those projects will not appear in the STIP. If you have questions, please contact NDDOT's Programming Division. Urban Roads - Urban roads are considered LPA owned roadways on the federal aid system. NDDOT's Local Government Division and the LPAs work together to program improvements based on the available funding that is allocated to the LPAs. LPAs are responsible to prioritize the improvements on their system. NDDOT does an annual solicitation for qualifying projects. Urban Regional Roads - Urban Regional Roads are State Highways that run through Cities in ND with a population of >5,000. 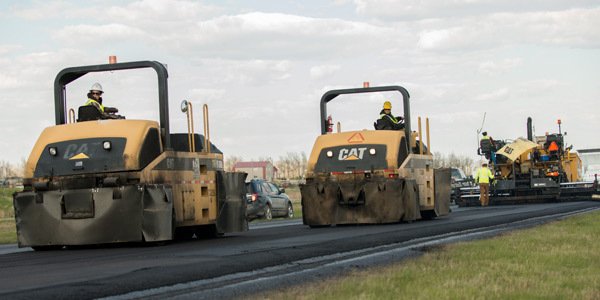 NDDOT's Local Government Division and NDDOT District Offices work with the applicable LPAs to program improvements based on the available funding. NDDOT does an annual solicitation for qualifying projects. Metropolitan Planning Organizations (MPOs) - NDDOT allocates federal funds annually, by formula, to each of the three MPOs within ND. These funds are used for regional transportation related planning efforts. Bismarck-Mandan MPO - The Bismarck-Mandan MPO consists of the cities of Bismarck, Mandan, and Lincoln, and portions of Burleigh and Morton Counties. Fargo-Moorhead Metropolitan Council of Governments - The Fargo-Moorhead Metropolitan Council of Governments consists of the cities of Fargo and West Fargo, ND and Moorhead and Dilworth, MN and portions of Cass County, ND and Clay County, MN. Grand Forks-East Grand Forks MPO - The Grand Forks-East Grand Forks MPO consists of the cities of Grand Forks, ND and East Grand Forks, MN and portions Grand Forks County, ND and East Grand Forks, MN. County Roads - Each County has roads designated as federal aid routes which are eligible for funding and are owned by the county. The Counties are allocated funds based on a formula and each county prioritizes the improvements on their federal aid system. NDDOT's Local Government Division and the Counties work together to program the available funds for improvements to their roadways. NDDOT does an annual solicitation for qualifying projects. Bridges - Funding is available in the amount of approximately $6 million to assist the counties with replacement or rehabilitation of bridges that are ≥20' (span length). To receive funding, each county needs to contact NDDOT's Local Government Division and submit bridges they would like considered for funding. Historic Bridges - NDDOT provides funds to rehabilitate bridges considered historic within the state of ND. These structures are generally considered unique structures, whether it is based on the type of structure or perhaps the part it played in transportation history within the state. The majority of structures rehabilitated to date were at or near their original location for nearly 100 years. NDDOT works very closely with the owner of the structure (generally an LPA) and the State Historical Society of ND to preserve its role in transportation. If you have a structure you would like considered for this program that still operates in a transportation related role within the state, please contact the Local Government Division of the NDDOT. Rail Crossing Program - NDDOT administers the rail crossing safety program using federal funds. Projects include: new signal installations, signal upgrades, signal relocation, surface rehabilitation and crossing closures. NDDOT solicits potential crossing projects from various entities such as cities, counties, schools, etc. in early September each year and receives requests throughout the year. A diagnostic team comprised of the road authority, the operating railroad and NDDOT meets at identified crossings to determine the recommended course of action through consensus. Projects are ranked and placed on a list for potential available funding, all projects require a 10% local match from either the road authority or the operating railroad. For crossing closures, railroad companies offer money to the road authority for the closure and NDDOT can match those funds up to $7,500. The money provided by the NDDOT requires a safety project to be implemented using the funds, the money offered by the railroad company does not typically have conditions attached. If you are interested in this program or have questions, please contact NDDOT's Planning/Asset Management Division. NDDOT Rail Fund Loan Application Instructions. If you are interested in this program or have questions, please contact NDDOT's Planning/Asset Management Division. Recreational Trails Program (RTP) - RTP provides funding for motorized and non-motorized recreational trails projects in the amount of approximately $1 million annually. This program is funded by FHWA and administered by one of NDDOT's partners, the North Dakota Parks and Recreation Department (NDPRD). 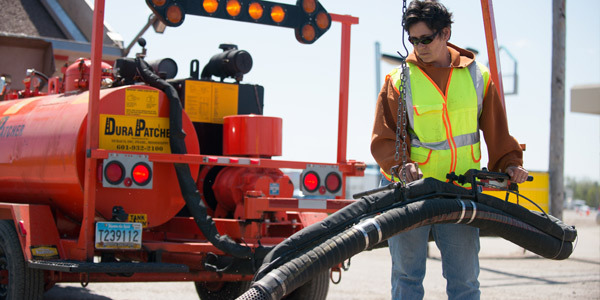 Special Federal Grants - Occasionally, FHWA will have special opportunities for State Departments of Transportation and/or Local Public Agencies (LPAs) to submit for additional federal funds during the year. These opportunities occur approximately one time during any given year. The amount of federal funds available vary with each grant announcement and so does the criteria. Based on the criteria in the grant announcement, NDDOT will work with LPAs, if they are eligible, to apply for these grants as they are announced on their behalf. If LPAs can apply directly, NDDOT encourages those LPAs to apply. 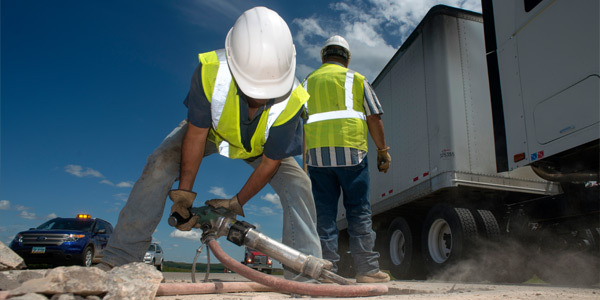 Safety Division Grants - The Safety Division receives funds through the National Highway Traffic Safety Administration (NHTSA) to administer behavioral safety programs to reduce fatalities and injuries from motor vehicle crashes on North Dakota roads. Projects proposed for funding should address behavioral safety priorities such as wearing seat belts at all times, transporting children in child passenger safety (CPS) seats appropriate for the child's age and height, not driving while distracted by cell phones or any other form of distraction, driving only when sober (i.e., not under the influence of alcohol and/or drugs), and obeying all posted speed limits.